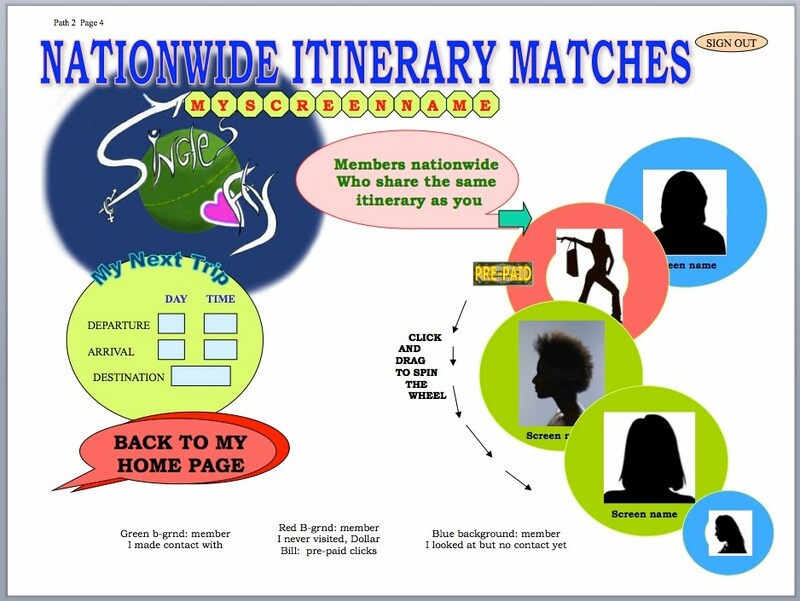 Very similar to "my 50-50 page", this page will display members NATIONWIDE who posted public itineraries, who’s destination is within a 50 mile radius of the user’s destination. Those members’ itineraries and the user’s will overlap, by at-least 24 hours. As in the “my 50-50” page, the members, matching this criteria are organized on a “spinning-wheel” which the user can spin in order to browse. as in “incoming clicks” page, this page will display a schedule of the user’s “Next Trip”.